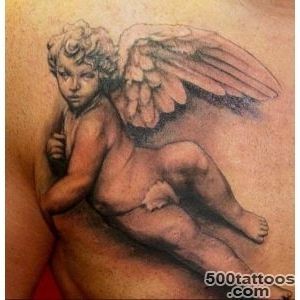 The word " angel" comes from the Latin "angelus", which literally translates as a messenger . 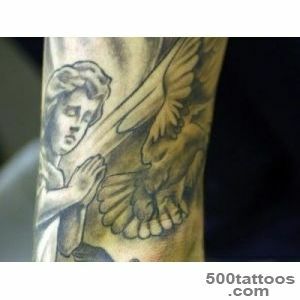 In fact, people are angels as beings unite the physical and spiritual worlds. 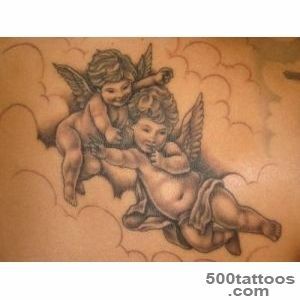 Angels record all actions committed by a person over a lifetime. 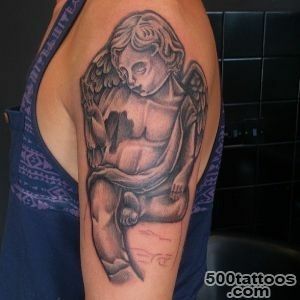 Tattoo angel usuallyperformed in the classical style : a creature like a man with wings . The value of the image may vary. 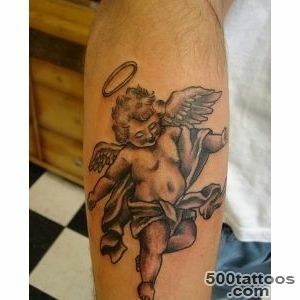 Tattoo anglela : flying angelEveryone puts in their own angel image value that can be read on the design of the tattoo . 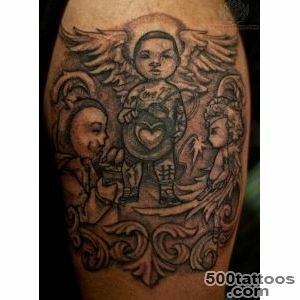 Cherubim - a children - angels , who in the classic sense are intended to protect the person . They serve as a kind of talisman . 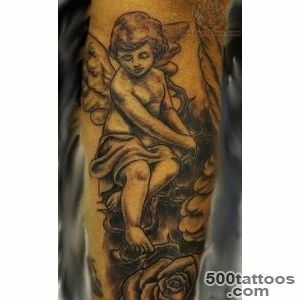 Tattoo in the form of a cherub can also mean innocence and purity ( of body or soul ) .Tradition depict angels in the form of children came from medieval art . 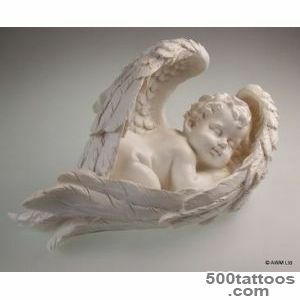 Then statues of cherubs adorn palaces , churches , squares . 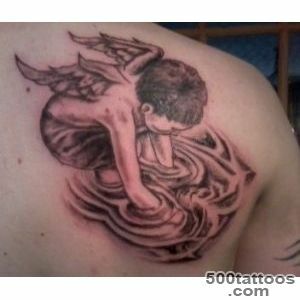 Angels Children usually depicted without clothes with cute wings . 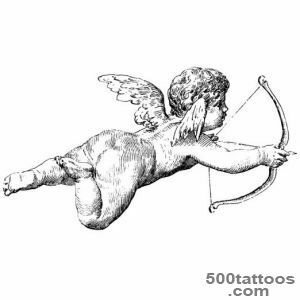 One of the most famous cherubs - is Cupid , which brings together the heart and brings love . 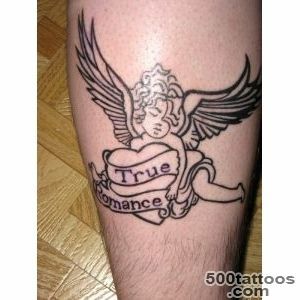 Good idea to tattoo peopleI believe in true love . 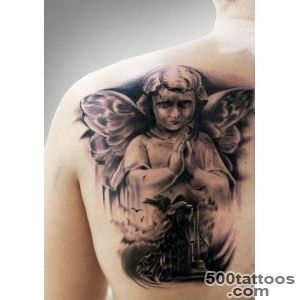 Archangels - is the highest-ranking angels , very close to God . They are charged with the mission to defend the skies and the people from evil spirits . That is why they are often depicted with swords and spears . 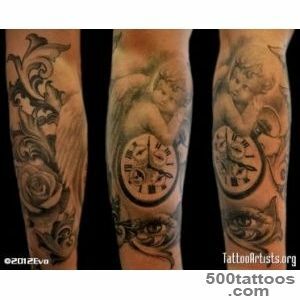 Not difficult to guess the meaning of a tattoo .Angel with a sword is interpreted as a protector and guard . 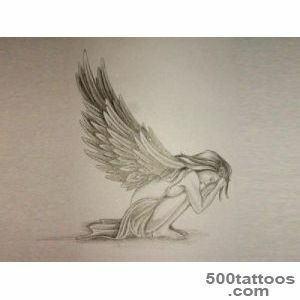 Fallen Angel - is the angel who was cast out of Eden for their disobedience to God . These angels are free to decide what to do : good or evil . 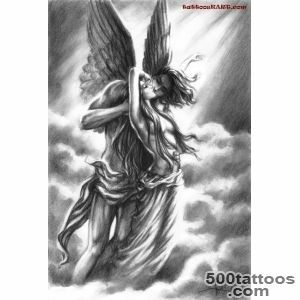 The most famous are the fallen angels , Satan and Lucifer . 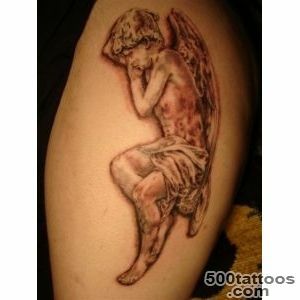 Tattoo as a fallen angel could meanthat you have done something wrong and lost someone close due to his act . 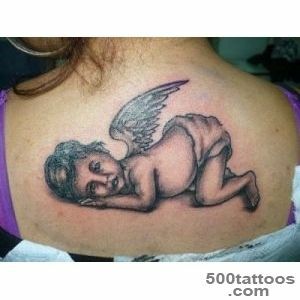 Dark Angel is also ranked as " poor " creatures . In people, it is often called a reaper or collector of souls. 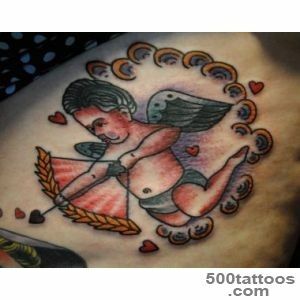 This tattoo is a sense of fear and death . 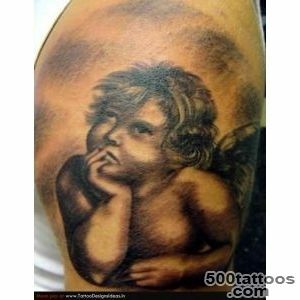 Fairy angelsFairy tattoos are often presented with images of cherubs . These colorful and cute girl image do more often. 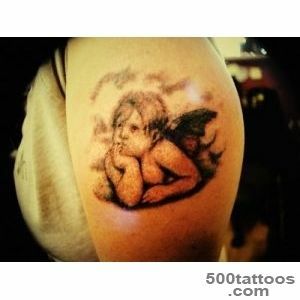 Fairy Angel usually means innocence, playfulness and frivolity . 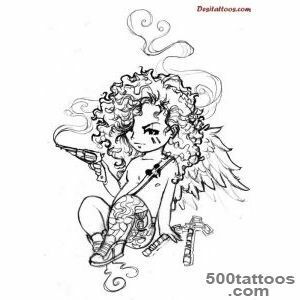 Depicted with butterfly wings . 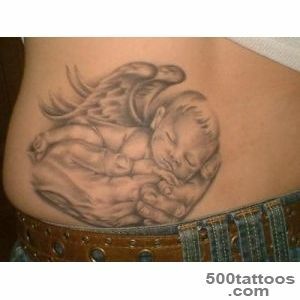 In fact, it can be a flying angel ,and Angel , Spread your wings before flight . 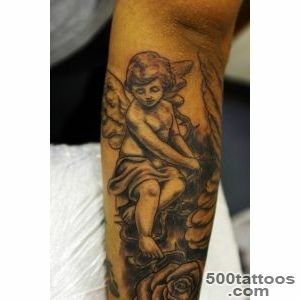 This tattoo means rebirth . 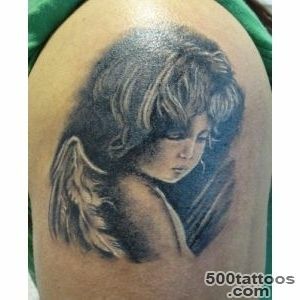 Praying angel - one of the most popular tattoo designs in both sexes . People pray to God to convey his message . We ask about the dreams, the serenity of the soul ,health and family , etc. Whatever meaning you do not put in his angel , rest assured that God will hear you. 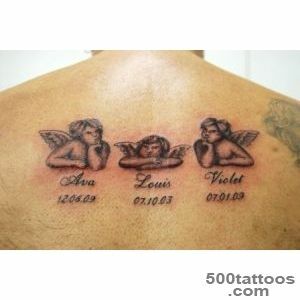 Very often people write the names of loved ones for whom they pray . Perhaps these people are no longer with us, and we show them that they are not ever forget . 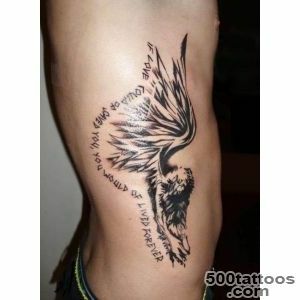 Angel wingsTattoo in the form of wings on means freedom and protection. 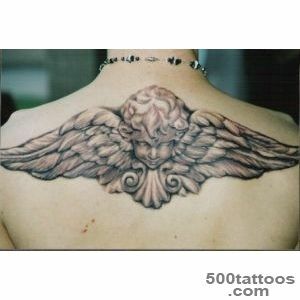 People wearing wings on his back - very strong spirit and are in close connection with God . 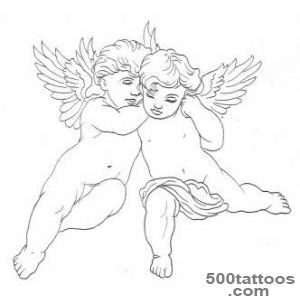 Undercut and folded wings can say that man is an internal struggle for their spiritual beliefs . 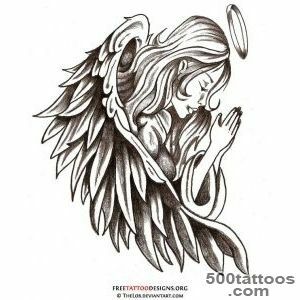 Anglela tattoo : angel wingsangel tattoo can be done in different colors , the most popular are blue, yellow and pink, not including the classic black ink . Dimensions of the image also depend on your own preferences . 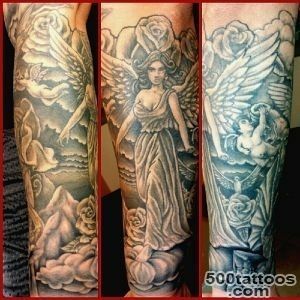 Defenders of the Angels, or Archangels , taken to represent a large scale . Therefore, back or shoulder -the most suitable place for them . 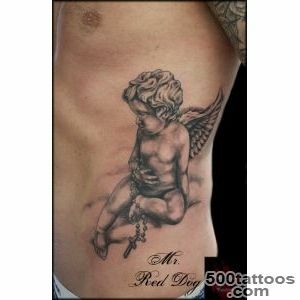 Fabulous angels and cherubs look great on your stomach , feet or neck , due to its compactness .